If you want to fly while you are wearing a plaster cast, you should always contact the airline before your flight. For flights of less than two hours, most airlines want you to wait at least 24 hours after having your cast fitted before flying. For longer flights, they want you to wait at least 48 hours. This is because your injured limb can swell after a cast is fitted, and this can affect your circulation, putting you at more risk of blood clots. If you have to fly before these times, the airline may let you board if your cast is split along its whole length. You need to contact the clinic that applied your cast or the Orthopaedic Outpatient Department (OOPD) on (03) 364‑0800 ext 88692 to arrange this. You will also need to arrange for your cast to be replaced at your destination. If you have an arm cast, or a leg cast that does not go above the knee, you should be able to sit in a normal seat. It is sensible to think about your comfort on longer flights. Your legs can swell on long-haul flights and this could become quite painful in a cast. If you have a larger cast, you may need extra seating and you will probably have to pay for this. 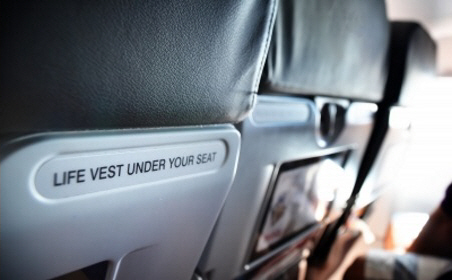 Most airlines will not let you sit in the emergency exit row. You will need to let the airline know if you are using crutches. Some airlines will store crutches in the hold during the flight. You need to think about how easily you will be able to move when you are in the air, particularly if you are not supposed to put any weight through your leg. Written by HealthInfo clinical advisers. Endorsed by director of nursing, Orthopaedics Services, Canterbury DHB. Page created December 2015. NHS – Can I travel in a plane if I have a plaster cast?